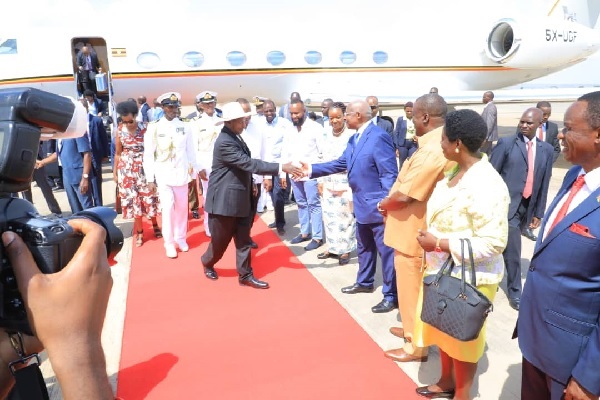 He was received by his host President Uhuru Kenyatta at Moi Internation Airport Mombasa. Also on the tarmac was the Deputy President William Ruto, Minister of Foreign Affairs of Uganda Hon. Sam Kutesa, Cabinet Secretary for Foreign affairs Kenya Hon. Monica Juma among others. The number of refugees fleeing the raging conflict in South Sudan into Uganda has increased to 40,000. The Uganda Red Cross and international relief agencies said the number of Sudanese crossing to Uganda daily by road in the West Nile districts of Adjumani and Arua is worrying and has strained available relief support, with a disturbing probability of the current figures reaching 100,000 by February. 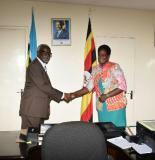 RWAKITURA - President Yoweri Museveni held a meeting with Mrs. Rebecca Nyandeng Garang De Mabior, the adviser on human rights and gender of South Sudan President Salva Kiir Mayardit. Missions ( Nairobi,Mombasa, Algiers, Pretoria, Khartoum, Kigali, Bujumbura, Dar es Salaam, Mogadishu) meet for the strategic plan meeting 22-26 October 2018. Kenya-Uganda Cross Border Investment and Trade. 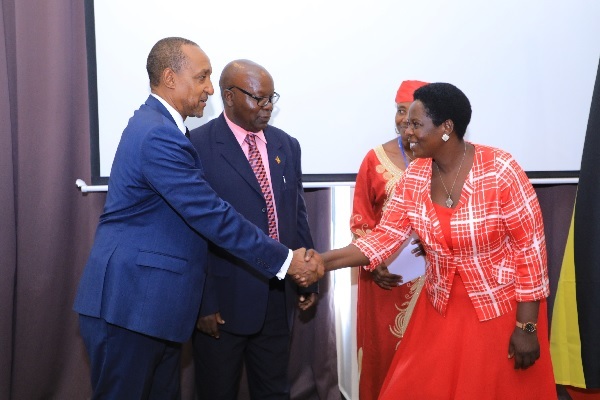 Theme: Embracing the tenets of regional integration for stimulating investments in Uganda and Kenya . 2nd Deputy Prime Minister of East African Community Affairs at the welcoming party of H.E Phibby Otaala Aweere at the Chancery ,Nairobi .